In the first part of this tutorial, we laid down the foundation of our node.js web app. You learned about running and installing node, about npm and the nedb library, and we even wrote our first module. This week we will continue with the routes and views of our picture voting app. Last week we made a module that handles the initialization of two datasets - users and photos. These datasets were exported by the module, which allows us to require it and access them in our other js files. We will do this is in our routes.js file, which holds all the routes that the application will respond to. * It requires the database module that we wrote previously. 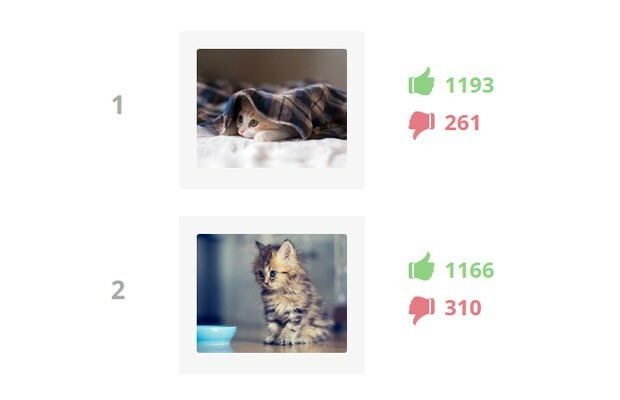 // Find the photo, increment the vote counter and mark that the user has voted on it. Here app is an instance of an Express.js web application that we will create in our index.js file. We are exporting a function which takes the app as an argument, which allows us to inject it as a dependency later on. * This file runs some configuration settings on your express application. We are using the handlebars templating engine for our views (with the help of this adapter library), because it is easy to write and supports layout views. A layout will allow us to share a common design for all our pages, which is a big time saver. The code above also uses the static connect middleware to serve the files in the /public folder. This is the best way to make all the site assets accessible from a web browser. * all the required libraries are downloaded and installed. // `node index.js`. Start the server! Great! Our app is taking shape! To start it, execute the command node index.js, and the server will start listening on port 8080. However, if you try opening http://localhost:8080, it in your browser at this point, you will only see error messages for missing template files. This is because we haven't yet written our views. The first view that we will create, is the layout. This file will define the common HTML that is shared by the other pages of our site. Your app may have more than one layout (for example if you wish to have separate designs for your home page and for your administration screens), but we will only have one here. By using templates we are able to separate the code for presenting the data from the data itself. You can use many different template engines in your express web application. With this, our Node.js picture voting game is complete! You can enhance it with some of the countless node.js modules and libraries and modify it in any way that you wish. I hope that you found this tutorial useful! If you have any suggestions, bring them to the comment section below. How are you passing the IP address onto the visitor? If I run the node app at the port like domain:8080 it works fine, but when i use an Apache using Proxypass it doesn't pass the IP, so if i vote on all the pictures from my IP, and I give the URL to someone else, it shows them that all images have been voted on, curious on your setup how you do this. When you run your node.js app behind Apache or Nginx, your app will always get 127.0.0.1 as the IP address of the visitor. Adding the 'trust proxy' setting tells express.js to work around this problem. Node.js is really powerful! Thanks for sharing. Could you talk a little bit about deployment strategies? I'd be interested in a controlled host (e.g., Bluehost), or generally anywhere without sudo or apache, or a cloud based solution.